Häagen-Dazs, need i say more? 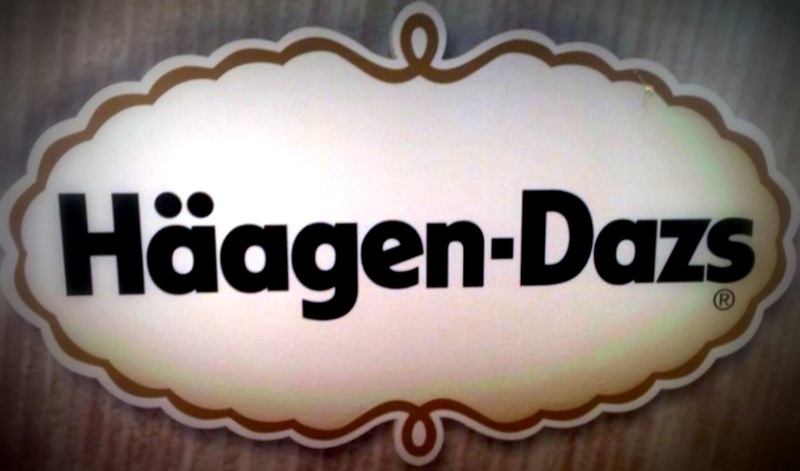 Häagen-Dazs (pron. : /ˈhɑːɡəndɑːz/) is an ice cream brand, established by Reuben and Rose Mattus in the Bronx, New York, in 1961. Starting with only three flavors: vanilla, chocolate, and coffee, the company opened its first retail store in Brooklyn, New York, on November 15, 1976. 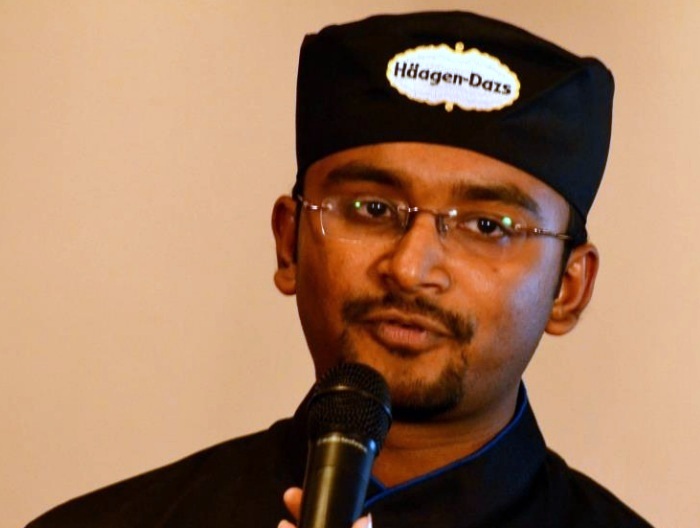 Häagen-Dazs produces ice cream, ice cream bars, ice cream cakes, sorbet and frozen yogurt. The outlet is situated in the same complex as Cascade & Man mandir store in Khader Nawaz Khan road, and on the ground floor is where Haagen-Dazs is located. The Franchise is owned by Sam Paul, the one who opened Crimson Chakra on KNK road, and who also owns Toni & Guy salons in the city. The range of desserts-Top shelf- Brownie, Cookies[they were huge], Blueberry muffin and choco muffin; 2nd shelf- Cheese cake, Blueberry cheese cake, Apple crumble pie and behind is the Minnesota Mud pie. Paradise- a layered heavenly dessert- ice cream scoops tucked between layers of waffles, served alongside fresh strawberry fresh cream and chocolate sauce. They are priced similar to Movenpick situated across the street. Only time will tell which of the two giants survive and which one buckles.